Befitting a highly respected institution, the College has strong democratic traditions. Its Fellows regularly elect a 20-member College Council which functions for a 4-year tenure to manage its academic and administrative affairs that are interdependent. A President, assisted by two Vice-Presidents and a Treasurer, heads the Council. The Council members devote their time and expertise in promoting the overall interests of the College particularly higher medical education. The Council creates an atmosphere conducive to the aims of research and other academic, knowledge seeking and training activities. 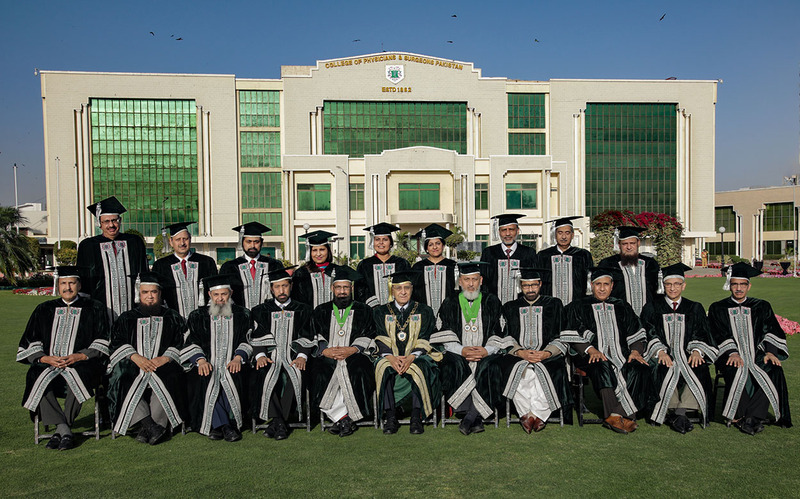 Fully conscious of the CPSP philosophy that it must keep abreast with new advances in medical science, technology and research, the Council takes advice from Faculties and initiates corrective measure whenever necessary. These efforts have paid dividends and the College enjoys a high respect and reciprocity with the sister institutions of Royal Colleges of UK and Ireland and has similar recognition by Saudi Council of Health Specialties, Kuwait, Nepal, Bangladesh and Singapore.